It may be officially spring, but with snow on the ground and more in the forecast, spring still feels far, far away. 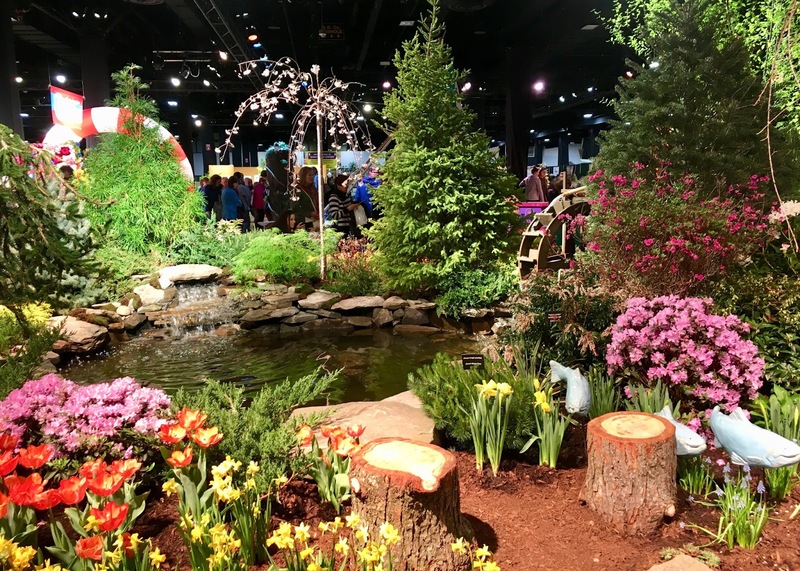 Thankfully the Boston Flower Show was this past weekend, giving us a much appreciated glimpse of spring! 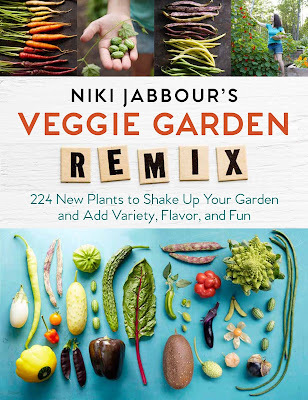 Northern gardeners might know the Canadian author, Niki Jabbour, from her fabulous book The Year-round Vegetable Gardener. 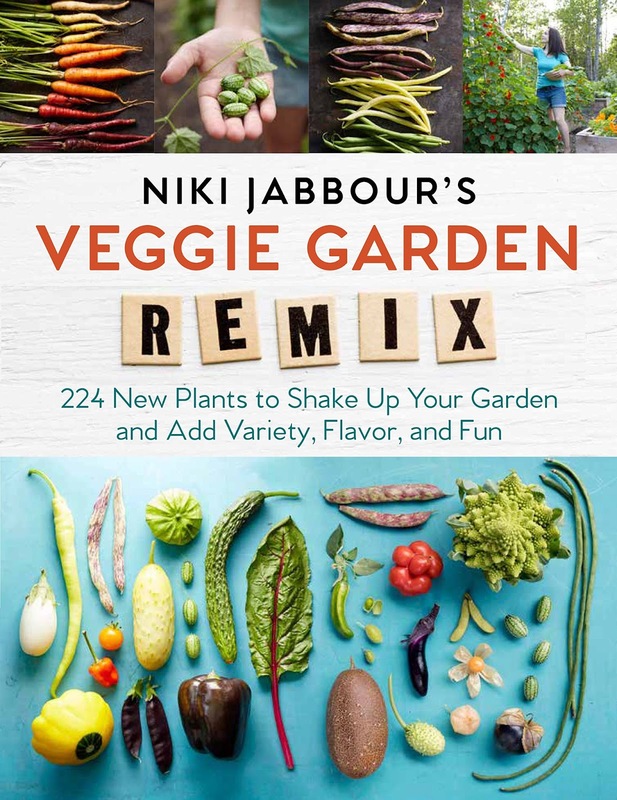 Her new book, Veggie Garden Remix, is another great one, and I was delighted to be able to go to Niki Jabbour's talk about it at the Boston Flower Show. The book is ingeniously laid out. 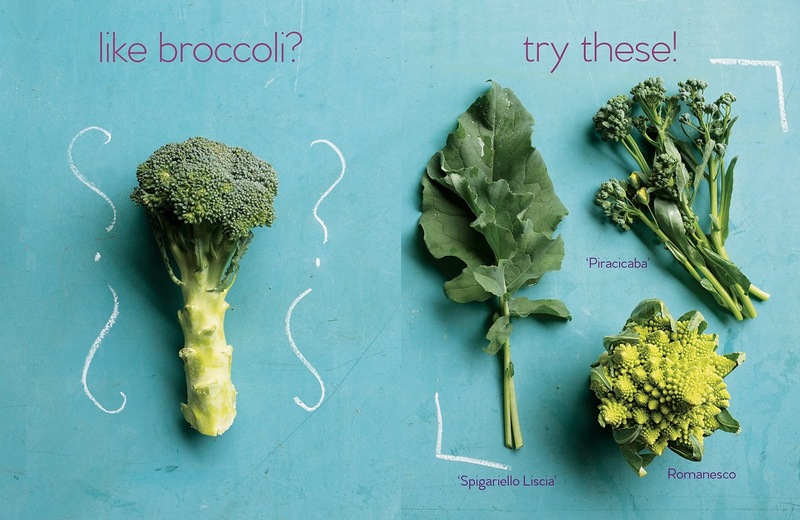 For each common vegetable, the book gives several unusual options that people might also like and tells how to grow them. My favorite is the section on spinach. 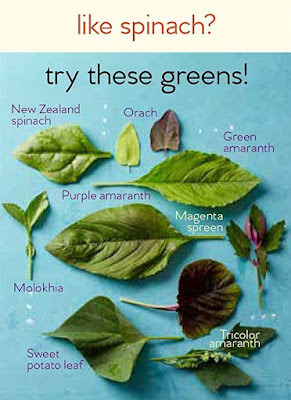 While I always seem to have trouble growing spinach, Jabbour gives several options that seem easier to grow, as well as some that are more heat-tolerant for summer harvesting! Jabbour is also a fan of trying more unusual varieties of your common veggies, and her book lists some noteworthy varieties that she's tried and enjoyed. 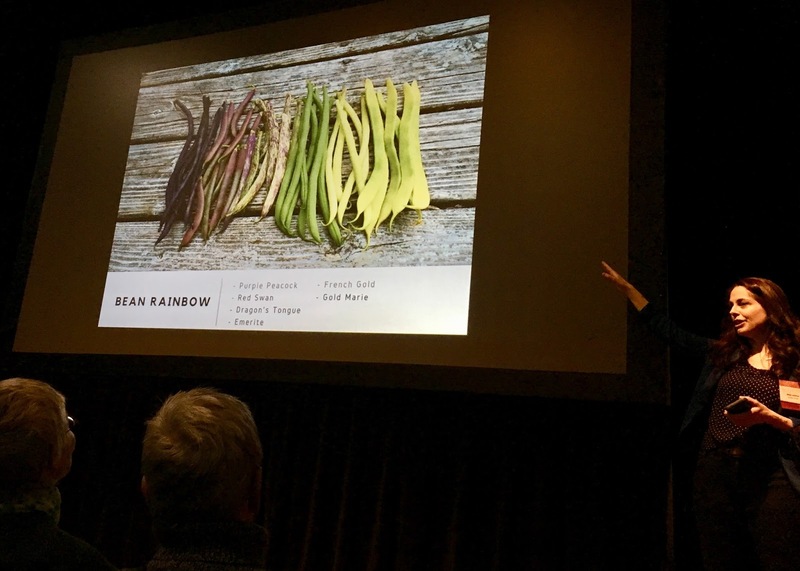 Less adventurous growers (and eaters) might not enjoy a book like this, but I though it was a lot of fun, and I thoroughly enjoyed her talk as well. Here's to growing some new things in 2018! I've bought Romanesco, but it is SO pretty, I almost can't bear to eat it. Such a pretty vegetable! I bought it once and was surprised to find that it really tasted just like cauliflower. Ha! If it was up to my husband, we'd have a lot more trees, too, though he does like the veggies! Its not very Spring like here either. I was thinking it was time I started off some annual plants for the Summer. The green house is a mini. We have two unused rooms in the house and surprisingly I got the go ahead from the boss to use them as plant growing rooms, well, as long as I covered the flooring, set up a couple of sturdy wallpaper pasting tables and Bobs yer uncle. Ha! My planting area is in our guest bedroom, and I've covered the floor with an old sheet. We had to do a little rearranging when we had guests come visit last weekend though! 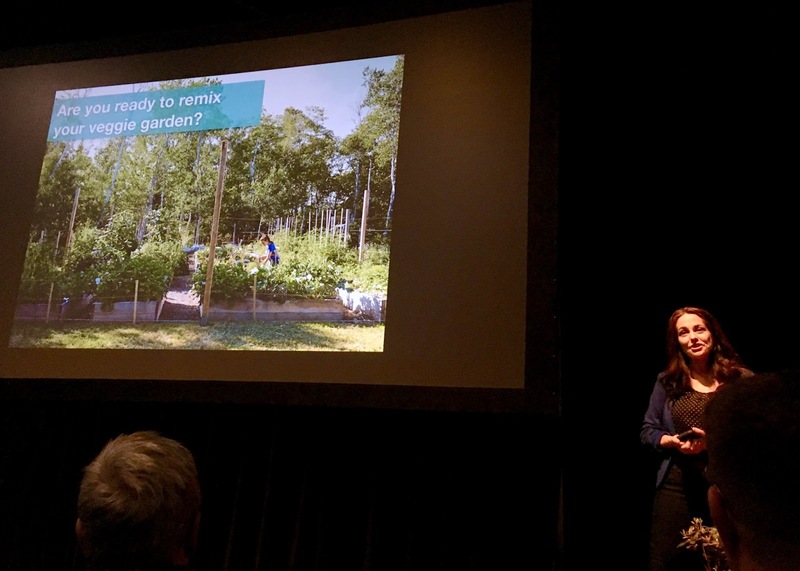 I'm so envious that you got to hear Niki talk about her new book! Hopefully I'll catch her on her talk/book tour soon. 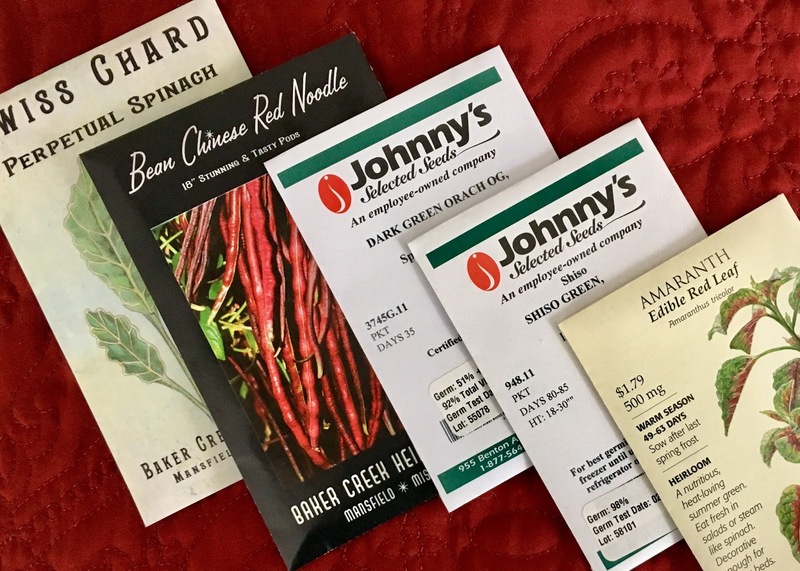 So exciting your starting your indoor seeds. I'm behind on my seed starting but I do want to try a few new plants this year. She was a great speaker! I talked to her a little bit afterwards and got an autographed book, too, and she was very nice. Hope she tours down there so you can go to one of her talks! It was so lovely to walk in from the snow and cold and see trees in bloom! I can't wait until it really is spring out there. 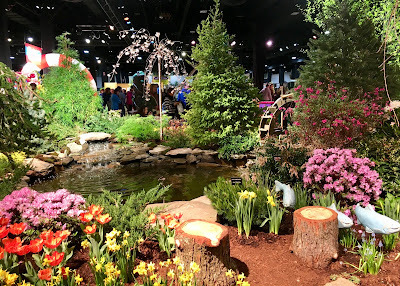 I usually go to the Chicago Flower Show in mid-March, but missed it this year because my daughter and her family were here from Texas. Shows like these are a great way to break up a long winter. I am excited about vegetable gardening this year because I have a new raised bed--hoping to get an early jump on growing them! How nice to have family up! I was actually able to go to the show with my Mom, who was visiting from out-of-state, and it was so much fun to be able to go with her. Enjoy your new raised bed! Thank you for the views of what is to come. It has been crazy here weather wise on Long Island, as the recent 19 inches of snow is melting, and I can finally see my bulbs again. Come on spring! The Northeast has really been hammered this month! The snow is slowly receding, though, which I am thankful for. Hopefully we are done with the nor'easters! Those exotic vegetables are very intriguing. I wish I could taste some of them before I grow them, but it will be an adventure! That is a nice way of looking at it - we get a summer with lots of blooms all at once! I am very glad that finally the snow is melting and almost gone, though! And the same to you! Happy Easter!